Vanig is an integrated ecommerce platform and supply chain ecosystem powered by the blockchain. The goal is to change the way ecommerce works from manufacturers to consumers to make shopping a better experience. Vanig strives to provide a one-stop destination for all online merchants globally and aims to use the power of blockchain to combat industry problems such as fraudulent goods and parcel tracking difficulties. We like that Vanig aims to solve a real industry problem and also offers individuals the opportunity to buy affordable goods from verified retailers. Oh, and here’s a differentiator: these items have been selected via AI to ensure that they are potential purchases of interest. If successful, Vanig is set to change the way online shopping is done. We are impressed with their talented team, and the fact that they have a working platform makes us eager to see how this project will do in the next few months with more press. How to invest: Interested investors can join the pre-sale by registering for the whitelist. Eligibility: Token sale not available to US residents and citizens. Jurisdiction: The state and federal courts located in Saint Kitts and Nevis will have exclusive jurisdiction. Problem addressed/solved: The supply chain is forever broken and waiting to be fixed in modern business. It consistently gets more efficient as technology advances. Vanig will try to tackle the lingering problems of too many intermediaries within the supply chain that drive up product prices, long payment processing times and excessive supply chain fees, lack of provenance information on raw materials, and fractured tracking of products throughout the supply chain. Target customers/customer/ segments/verticals: Vanig wants to target the entire ecommerce industry. Their platform will be used by buyers (average consumers who want to purchase online) and sellers (companies looking for another avenue to sell their products). Vanig will generate revenue from seller fees, pro features for sellers, and advertisements. Meanwhile, customers can choose to pay in VANIC tokens, other cryptos, or fiat currencies. Competition: Vanig will face intense competition in the ecommerce market. The super giants Amazon, Alibaba, Ebay, and Walmart already hold the lion’s share of the market, and other blockchain-related projects like Wemark are attacking the ecommerce industry as well. Market size/potential: Luckily for Vanig, the ecommerce market is monstrous and malleable, as smaller companies might find it cost beneficial to join Vanig rather than the major players. South East Asia (Vanig’s primary regional market) retail ecommerce sales sit at around 5.5 billion USD. According to Statista, it’s expected to grow to approximately 85 billion USD by the year 2025. Ecommerce will pave the way for future retail sales and, with enough backing, could sideline most physical stores. Regulatory risks: Stringent supply chain legal regulations will apply. Additionally, Vanig must understand the risk that comes from sales operations. If a company opens up a new market and moves into a geography into which they haven't previously provided goods or services, that's going to change the procurement-supply dynamic and could be a risk. Investor value: Vanig’s primary focus is South East Asia, which happens to be one of the fastest growing internet business regions in the world. They expect Vanig to amass users rapidly, thus increasing the overall demand for the token. They also have a dedicated buyback program where they will conduct a quarterly buyback in order to ensure overall tokens in circulation decrease and price increases. Their MVP Alpha has been released and their pending patent uses Hyperledger to create the Vanig marketplace. Disclosures: Vanig clearly goes above and beyond in the disclosures department. They provide a patent application, code of the smart contract, whitepaper, one pager, business model, pitch deck, and token sale terms and conditions. They update their blog nearly every other day, discussing upcoming events and how far they’ve progressed along their detailed roadmap. Token distribution: 63% Open Market, 15% Team Tokens, 12% Vanig Rewards and Incentives, 5% Referral & Bounty Program, 3% Advisors & Partners, and 2% Legal. 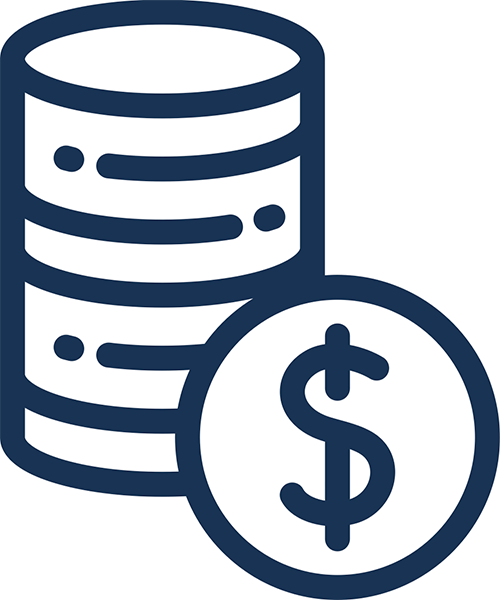 Use of proceeds: 30% Business Dev & Ops, 30% Marketing and Sales, 20% Admin and Operation, 10% Legal and Advisory, and 10% Research. Track record: The Vanig executive team demonstrates the experience and professionalism that everyone wants to see in an ICO team. They’ve worked for major corporations such as General Motors, K-Mart, IBM, and Cisco. Vanig has additional Advisor and Development teams for the project, ringing up a grand total of 25 individuals working on the Vanig project. The CEO, Dan Ramirez, has a serial entrepreneur background and has deep experience scaling organizations in software and blockchain development. Industries include security, identity, financial, institutional and government for more than 20 years. Integrity: The majority of the Vanig Executive team has experience in a high-level corporate position at a major company. In their employee bio, each member has the logo of his or her past place of employment, and most of the companies would impress the average reader. Team members that have significant experience at places like IBM, Cisco, and GM likely bring the right attitude/integrity with them. MVP: Vanig has a state-of-the-art MVP and anyone can access it via their website. They also provide a handy user guide that will walk you through the process of using the platform. Lastly, their MVP actually functions with the VANIG token in place unlike other project MVPs. Token use case (What does it do? Is it really required? ): Vanig uses a dual token strategy to mint a derivative token (VNG) to insulate the consumers from VANIG token volatility and also to allow the ecosystem participants like manufacturers and suppliers to use the platform for B2B transactions. 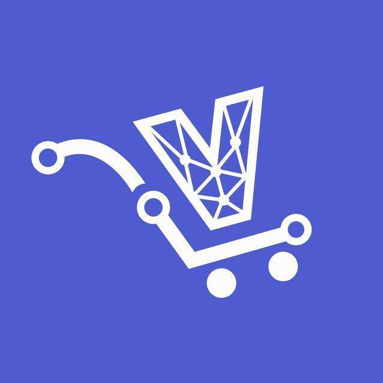 VNG tokens will be used for ecommerce and throughout the supply chain for paying for transactions, as incentives for buyers and sellers for activity on the platform, and as rewards through the Vanig Loyalty Rewards program in the ecommerce platform. The VNG utility token is not tradeable at any Crypto exchange(s). The VANIG token, however, will be tradeable at crypto exchanges. Value-added: Vanig takes the dual token approach for the sake of investors and holders. It provides a stable crypto-economic approach for the exchange of tokens, goods, and money between parties, retains investors to receive benefits, and therefore mitigates the volatility and inflationary environment and generates liquidity. With the VANIG token, merchants can immediately receive remuneration and consumers could benefit from competitive pricing, security, and transparency. Decentralization: The Vanig ecosystem is a robust, scalable, permission-based decentralized blockchain. Technical difficulty/investment expertise needed: Business-minded folks will understand the Vanig project ASAP, but those who are unfamiliar with supply chain might need some extra help. That being said, Vanig has plenty of videos on their YouTube channel proving both visual and verbal explanations as to how their project works. Halo effect: Vanig lists their Token Sale partners and Business Partners, which include a number of blockchain advisory companies for both their project and ICO. They don’t surprise anyone with their partners, but iFashion Group appears to be a huge player in the Singapore ecommerce scene. They’ll likely be initial users of the Vanig platform. Buzz: Vanig has an impressive 16,000 Facebook followers accompanied by an additional 16,000 Twitter followers. The project has been covered by the media for Yahoo Finance, MarketWatch, New York Business Journal, Markets Insider, and Coinspeaker. According to Buzzsumo, Vanig has over 1k engagements on their top article. It’s safe to say that Vanig has done well in generating buzz around their project.